If you’re investing time and energy into writing articles you want to get it right otherwise your return on investment will be small. The top article directories receive millions of visitors however your article will probably be competing with others on the same topic so read through these 10 tips before writing your next piece of content. How can you possibly generate lots of traffic from just writing one article? Traffic is the life blood for a successful web site. You need it to make sales or get new subscribers. You can’t just upload your website to the Net and expect to receive traffic immediately. I’ve used article marketing as one of the main strategies for generating traffic to my websites for years however it must be done correctly for it to work. So what’s the article marketing strategy I use to generate lots of traffic from one article? First of all your article must provide valuable information. To write a great article look for questions people are asking about your niche. Visit forums, blogs and social media sites to get an idea what they are asking then write a 400+ article that answers their question. You could offer one great tip or 7 tips..it’s up to you. Content that addresses the needs of your audience gets shared with others. The quality of your writing improves as you write more articles. This is a natural method for boosting traffic. Search engines use keywords to find and rank your articles therefore make sure you do keyword research first before writing your content. Include your main keywords in the title, body and resource box at the end of your article. Don’t dilute your content by stuffing too many keywords into it. Your content must primarily appeal to your readers not the search engines. If you want to build consistent traffic to your blog you need to continually add fresh content. This helps build a community around your blog. If your content is well written and optimized correctly it will rank well in the search engines. To boost it’s rankings create internal links within your blog. For example link to your new article from a related one using anchor text (hyperlinked text). This article directory receives the most traffic out of all the other article directories. It gets millions of visitors each day so submitting your article their enables you to receive some of that traffic. If you wish to boost the amount of traffic to your article try to get it in the most viewed list of articles. You’ll find these listed at the bottom of each article. They remain there for 60 days. Instead of submitting the same article, rewrite it using a different title, paragraphs (at least the first paragraph) and resource box. Make sure the link in your resource box links to your website. Now you have another unique article generating traffic for you. If you don’t have time to rewrite the article, submit it “as is” because ezinearticles gets visitors that don’t use the search engines to find fresh content. If a popular ezine publisher or website owner publishes your article you’ll get a ton of traffic. Most people are visual learners these days because they have been watching television, videos or playing video games. Video engages your audience more than text because it includes sight and sound. Simply convert your content by reading it in front of a video camera or creating a slide show then upload the video to YouTube. To increase traffic to your video upload it to multiple video sharing websites using TubeMogul. To optimize your video on YouTube include your main keywords in the title and description. Make sure you also add the full URL to your website in the title tag. To make article marketing work successfully you need to repeat this process for every article you write. Write at least one article per week then increase it to 3 per week as you get better. Your traffic will increase in proportion to the number of articles you write. Use Google Analytics or your web hosting stats to track the performance of your web pages. You’ll be able to view the number of visitors, where they are coming from and what keywords they used to find your website. Even if you have a beautiful website it won’t attract many visitors if you don’t promote it. There are hundreds of ways to promote a site however one of the most successful methods is writing articles then submitting the content to top article directories. Ezine publishers and website owners select well written articles from these directories to publish in their ezines or add them to their blogs or websites. This generates lots of traffic back to your website. Open the Google Keyword Research Tool then enter one of the main keywords related to your business. Use exact match to weed out general search terms. The tool will generate a long list of related keywords showing how many times people searched for that keyword in Google. Use this list to write a series of articles (one article per keyword or keyword phrase). Write an attention getting headline that includes your main keyword. For example in the title of this article I chose “article marketing” as the main keyword phrase. Make sure place you it at the beginning of your headline because search engines place more weight on keywords at the beginning. The main content should expand on what you promised in the title. A good length is 400 words. One simple way to write the content is to simply create a list of tips then write a paragraph on each tip. If you write 4 paragraphs each containing 100 words you’ll have a 400 word article completed in a short time. Be sure to include your main keyword in the content. This is added to the end of the article and is the only place you can promote your product or service and include a link back to your website. To motivate readers to click on the link offer an incentive such as a free report or free software. Get a friend or relative to proofread your article or if you do it yourself let it sit for a while then read through it again. Removing grammar and spelling mistakes will ensure the article is ready for publication. The more places your article gets seen on the Net the more visitors it will attract. Publish it on your blog or website first then submit to the top article directories. If you have time rewrite the article before submitting it to the directories. This provides them with a unique article rather than the same one you added to your blog. If you submit the same article to multiple publications the first website containing your article will rank ahead of the others in the search engines. For example if I first add the article to my blog then to a directory, the blog web page will rank first. Article marketing needs to be done frequently and consistently to be successful. Writing 100 articles in 100 days can be a daunting task if you don’t have a clear plan how to accomplish it. I participated in this challenge at the end of 2009 and was one of the first 100 people to complete it. It wasn’t easy but I learned many lessons along the way. I want to share these lessons with you to achieve your writing goals quickly and easily. This will help you avoid staring at a blank screen everyday with no ideas. Select your main topic then use the free wordtracker tool, or the Google keyword tool to create a list of of keyword phrases people are searching on. Now I wouldn’t write articles on “north dakota web site design” unless my business is located there, but would definitely write articles on web site design company, professional web site design, web site design software. If you run out of subtopics visit, forums, blogs, conduct polls in your niche, visit yahoo answers, ask your newsletter subscribers, etc. 2. Set aside a specific time to write each day. Find your most creative time for writing. It’s the first thing I do in the morning before I check my email, attend to my websites or get distracted by other tasks. Determine how long it will take to finish writing a 400 word article. I usually set aside 30 minutes then write the start time on paper. Sometimes I go over 30 minutes because I need to do more research. Once you get started it’s easier to keep going. When you get into the habit of writing at the same time each day for 30 minutes, you’ll find it gets easier. You’ll be able to write more articles in less time. Create a captivating title that includes your main keyword at the beginning. Write an introductory paragraph that emphasizes the main problem people face with your topic. Create a resource box that includes a link to your web site, newsletter or free report. Make sure you include 2 links in the resource box. One should be your full web site address, the other your anchor text (linked text). Ezinearticles requires a minimum of 400 words for the article to be accepted by their editors. Submitting your content right away won’t allow you to find all the grammar and spelling mistakes because it’s hard to view it objectively. Let it sit for a few hours or review it the next day. With a fresh mind you’ll find errors and better ways to say things that will improve your content. Don’t just use a spell checker to find spelling mistakes. It won’t capture all of them. Print out the article, read it aloud to yourself or someone else. It sometimes sounds odd when read aloud so you can make adjustments to the sentence structure. This should be your the first or only article directory to submit to because it has the most readers. Only send it to the other article directories when your article has been published at ezinearticles. Ezinearticles automatically announces each article to your twitter account. Make sure you create a twitter account so you can take advantage of this service. It will help build your twitter followers. 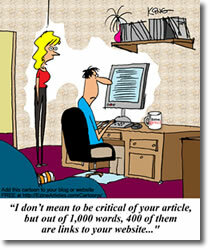 If you have time add the article to your blog, newsletter or combine several articles into an ecourse or short report. If you follow these 7 steps you’ll find writing 100 articles in 100 days easier than having no plan at all, plus you’ll reap the benefits of receiving more traffic, subscribers and sales. When you try to write an article a day it may seem like a huge hurdle to jump over but once you’ve accomplished that goal many opportunities open up to you. Let me make an analogy. The beginning of summer I could hardly swim a length before running out of breath. Every day I tried to swim a little further to build up my stamina. By the end of summer I could easily swim non-stop for 1 hour. I could even swim a whole length underwater in one breath. The same applies to your article writing. You start by writing your first article then increase it to 3 articles per week until you can write one a day. You have to build up your article writing muscles. You need content for your web site, blog, social media sites, ecourses, article directories, newsletters so you get reach more customers. You are allowed 2 links in the resource box of your article. The more articles you write the more backlinks you acquire. Articles place your customers in a buying mood because you help them make an informed decision. For instance if you write a review comparing different products it will help your client make the best selection. If you write several articles about your product and include links to your product page it will boost its rankings. If the product page achieves a first page listing its traffic will increase and you’ll make more sales. As your articles get published all over the Web and if you continue to do this for several years, your customers will find you everywhere. By repurposing your articles into audio and video files you’ll reach people who prefer to access content in that format. To become excellent at anything you need to practice profusely. Writing an article a day will become quicker and easier as you practice more. You can extend your writing skills to include press releases, copy writing, creating sales pages or getting hired as a ghostwriter. Writing an article every day enables you to create content for your own information products such as reports, ebooks, newsletters and membership sites. These products can be used to build your own information empire. Link popularity refers to the quantity and quality of other web sites that link to your site. As your link popularity increases so do your search engine rankings. One of fastest and easiest methods for getting one-way inbound links is by writing and publishing articles. This is where you exchange links between 2 web sites. You should only exchange links with sites that compliment or relate to your own web site. This is a time consuming process. Most requests will go unanswered as site owners receive multiple requests from unrelated sites. They may consider it spam and delete the emails. To receive a reciprocal link, offer a well written article or short report on the topic of the web site you want to exchange links with. Include your web site link in the resource box at the end of the article. Offering something of great value will make you stand out from all the other link exchange requests. Writing and submitting articles to article directories is a great method for acquiring one-way links because you don’t have to ask for a link exchange. Article directories allow you to insert one or two links in your resource box. Since article directories get indexed by the search engines every day, your article will almost immediately appear in the search engines. Depending on how competitive your topic is, your article may enjoy good rankings. Ezine publishers, web site owners select articles from article directories to publish in their newsletters, websites or blogs. These are all one-way links. If these properties receive lots of traffic, the link popularity and traffic generation to your own site will increase dramatically. This refers to linking to other pages within your own web site. Often the home page receives the most links whereas internal pages receive none or a few. To improve the link popularity of your web site link your internal pages to related pages within the same web site with anchor text (hyperlinked text). Encourage other web site owners to link to your internal pages by finding the page that relates or compliments their own content. Strengthening your internal pages by getting inbound links will boost your overall site rankings and traffic. for writing, optimizing and publishing your articles. Writing a submitting a few articles doesn’t generate a lot of traffic these days. It’s like throwing mud at a wall and hoping it will stick. Of course it’s possible that a publisher will see your article and send it to his list of 10,000 subscribers. To increase the chances of this happening you need to increase the volume of articles written. Decide how many articles you will write each week or month then stick to the plan. The key to writing and submitting articles successfully is to do it consistently over an extended period of time. This will generate a continuous flow of visitors to your web site. Create a different title for each article topic. Vary the content, anchor text and links in the resource box. 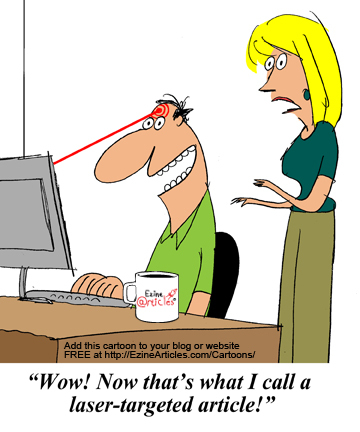 Search engines want to see a variety of links pointing to different pages of your web site, not just the home page. Instead of submitting one article at a time, submit the whole set. Article editors will review and approve a set at a time instead of one at a time. This means you will receive a larger boost in traffic than submitting one article because readers immediately see several articles from the same author on the same theme. Instead of just submitting articles to article directories, find ezine publishers that specialize in publishing your written content. This will help spread your message and gain more visitors. Create a list of article themes then take massive action. As you increase your article volume, the amount of visitors will increase also. Marketing your ebook is the most difficult and time consuming process. If you don’t get lots of traffic to your ebook sales page you won’t make much money. Even if you get lots of traffic but it fails to convert visitors into buyers you won’t sell many copies. Select a section of your ebook and rewrite it into an a unique 500 word article. Submit the article to ezinearticles first since it is the most popular article directory because it gets the most traffic. Rewrite the article again and send it to the other main article directories. *resource box should provide a call to action (visit ebook sales page) link to your web site, and who you are. *include 2 links in your resource box…one that includes the anchor text ie “article marketing strategies” and the other the full URL. The link containing your anchor text will give you a high quality back link to your web site and the full URL displays the full address should the visitor print out your article. It also gives you a second backlink. Search for ezine publishers in your niche and offer them the article to send to their subscribers. If your article gets accepted by a large publication you will make many sales. Offer to trade articles with another newsletter publisher. You run his article in your newsletter and your article in his. Create a list of ezine publishers in your niche and offer them your article. If you want to create an article marketing campaign that generates a ton of visitors to your web site, write and submit 5 articles per week for several weeks. If you can write 20 articles per week this will generate even more visitors. The most important point is to do it consistently. to receive immediate and long-term traffic.